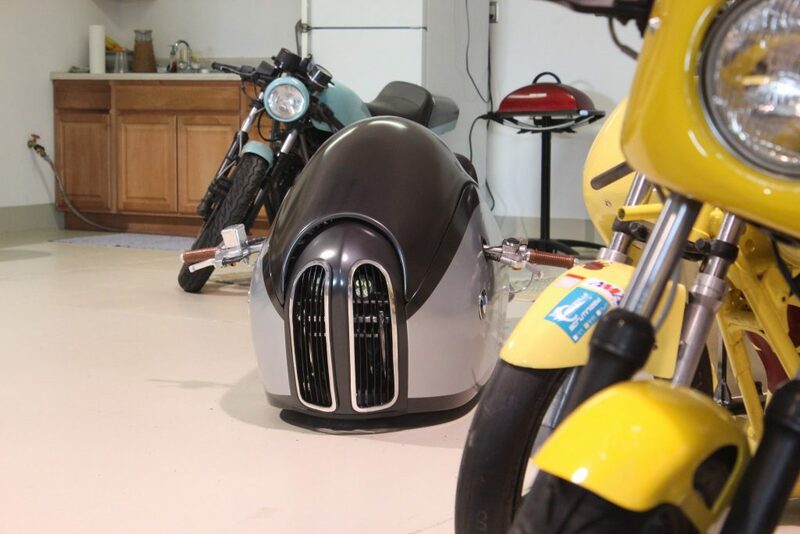 It’s not every day you see a custom motorcycle build take storm of the internet quite like Alpha did. 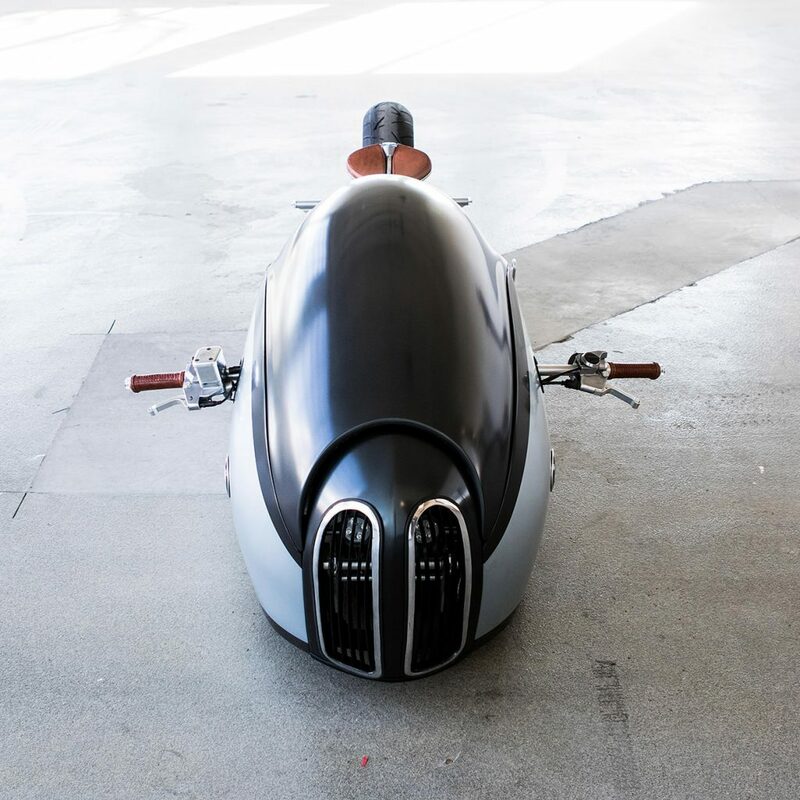 It’s a combination of radical fabrication, unique design, and a story that could easily make for a feature film. 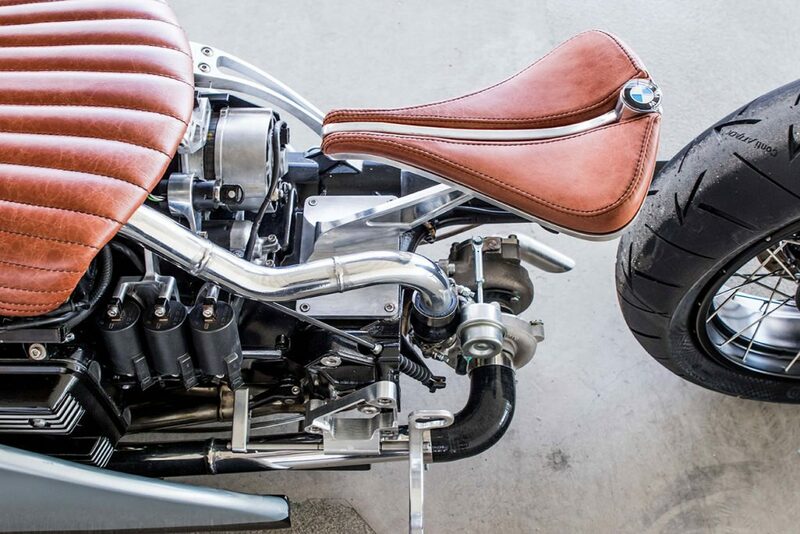 We were lucky enough to meet up with the creator of Alpha, Mark Atkinson, in our home state of Utah, exploring what motived him to build such an iconic bike. Mark is easily one of the most humble people I have met, an absolute joy to talk to. Meeting at a diner for breakfast it was immediately apparent how genuine Mark is. Over the course of our conversation, we covered everything from his passion for racing at the Bonneville Salt Flats to things like his family and friends. He was even wearing a Salt Flats sweater and Alpha was the background on his phone, truly living the life he loves. Over a period of several hours we covered just about everything under the sun, while the main topic of conversation was what brought us together in the first place, Alpha. Although Mark built Alpha himself he actually had very little to do with the initial design. While surfing Facebook one day, Mark saw a picture his father had posted to his page, a rendering called Alpha. Mark was captivated, being a salt flats fanatic his whole life, Mark loved the look of Alpha’s absolutely unique speed racer look, stirring up his inner engineer. 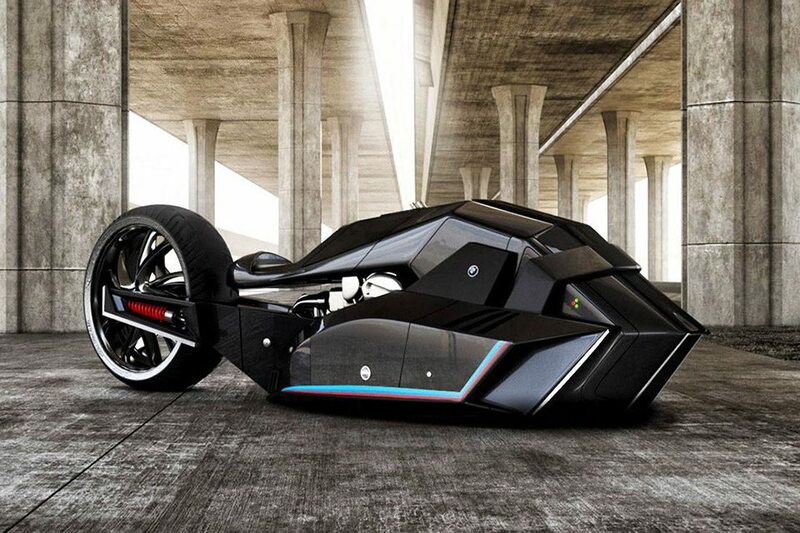 The concepts Mark saw on Facebook came all the way from Istanbul, Turkey from an Industrial Designer by day and designer of futuristic motorcycle renderings by night, Mehmet Doruk Erdem. Mehmet’s work is some of the best looking renderings you will ever see, hitting a level of creativity that only dreams are made of. 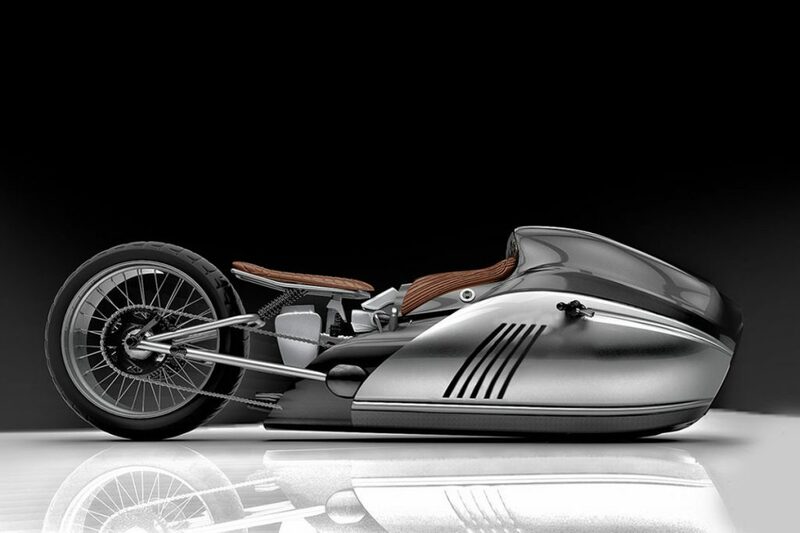 Mehmet’s original renderings of Alpha were a hit in of themselves, circulating the internet rapidly, displaying a futuristic dream bike that would likely be nothing more than a gorgeous poster of possibilities, not realities. That certainly would be the case if a guy like Mark didn’t exist. Sometimes in this world it seems as if the most unlikely connections are meant to be, with the connection of Mark and Mehmet being a prime example. Alpha brought together two people from different parts of life and the end result is nothing but extraordinary. And before you scoff at the idea let me give you the backstory, it’s truly inspiring. While I have never met Mehmet and didn’t get a chance to hear his whole story, Mark was able to fill me in on some of his experience. 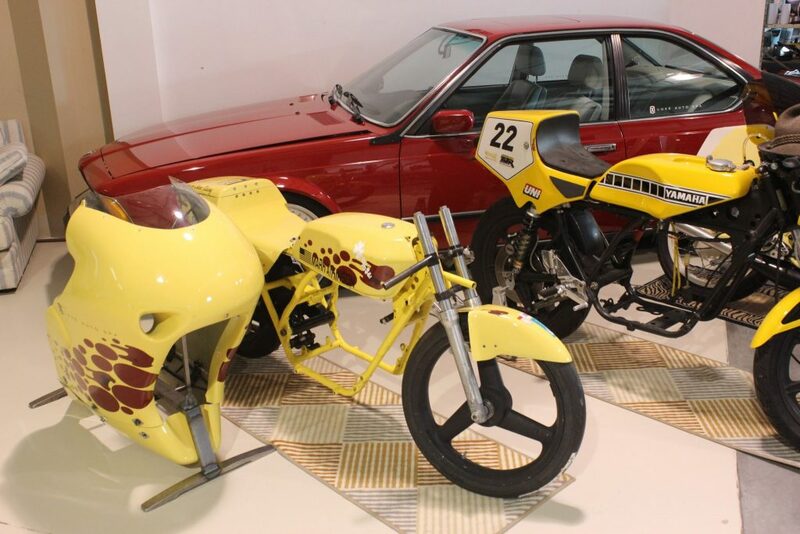 Apparently, Mehmet has never even ridden a motorcycle but has been a lifelong fan of land speed racing, a passion you can see bleeding through all of his work. 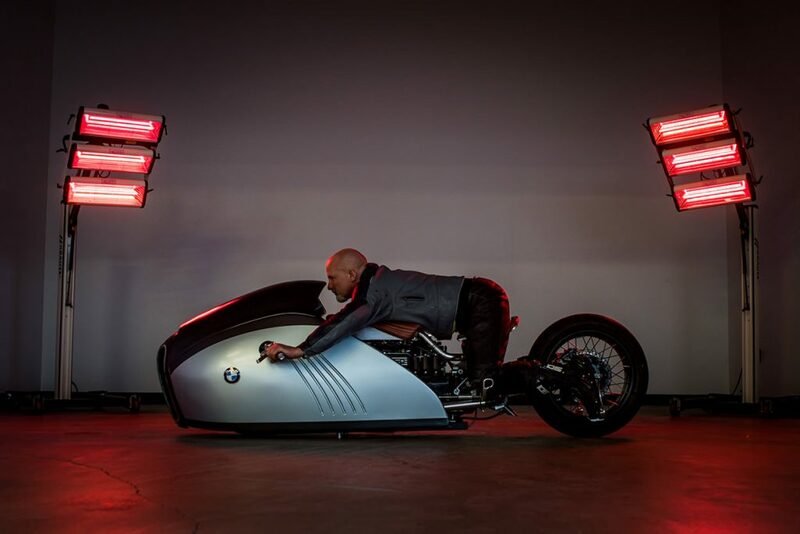 Most recently he saw the film ‘The World’s Fastest Indian,’ giving inspiration to what would become Alpha. While Mark has been a participant at the local salt flat speed races since he was just a little kid, attending with his father who is a fan and former racer of the 4-wheeled variety of racing, Mark told me he has always been drawn to motorcycles, something that certainly wasn’t passed down from his father. 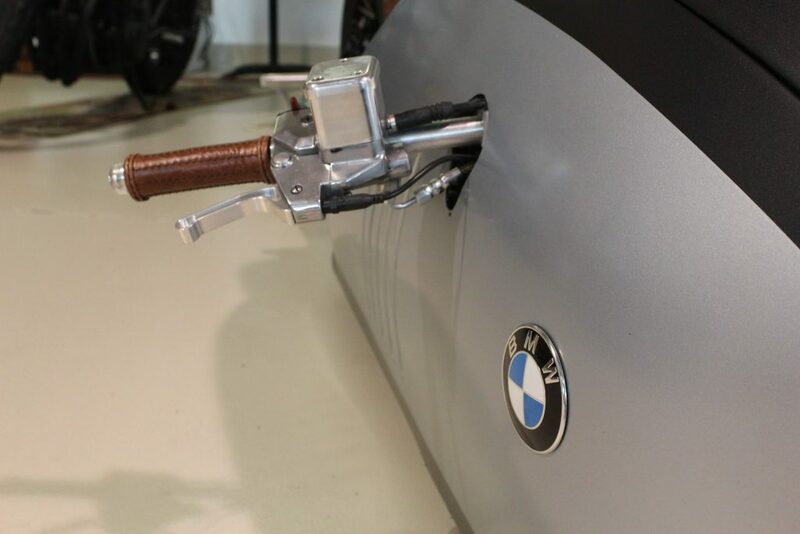 In the early 90’s Mark became the owner of a BMW K75S that he rode the proverbial piss out of, racking up over 100-thousand miles on the BMW over the next 15 years or so. 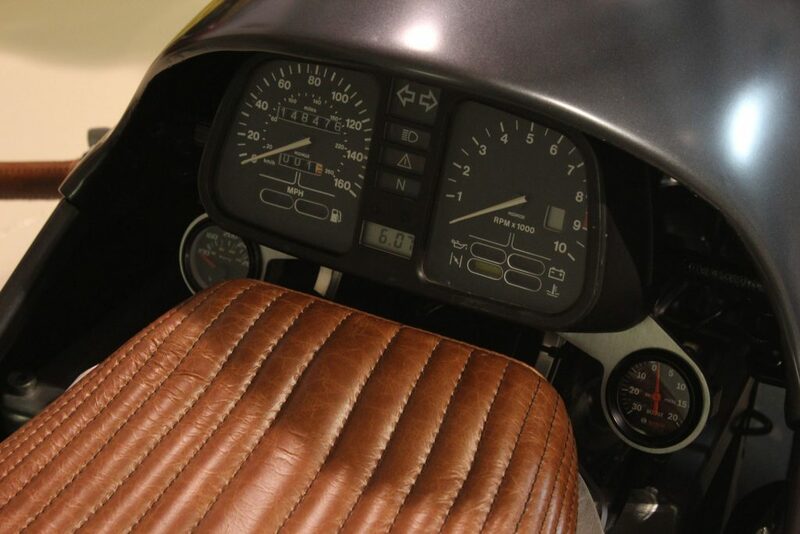 During that stretch of time, he had many experiences with the little horizontally mounted inline-triple BMW, until an unfortunate low-side crash damaged the bike to the extent it was no longer repairable, prompting Mark to bring it back home in pieces for the sentimental value alone. 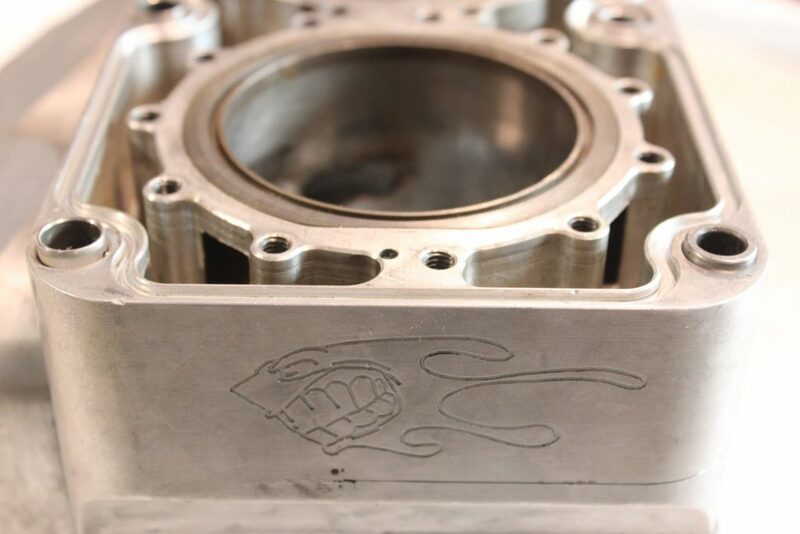 It is worth noting that Mark has also worked as a machinist for the last 30 years, creating all sorts of products from blocks of raw metals. 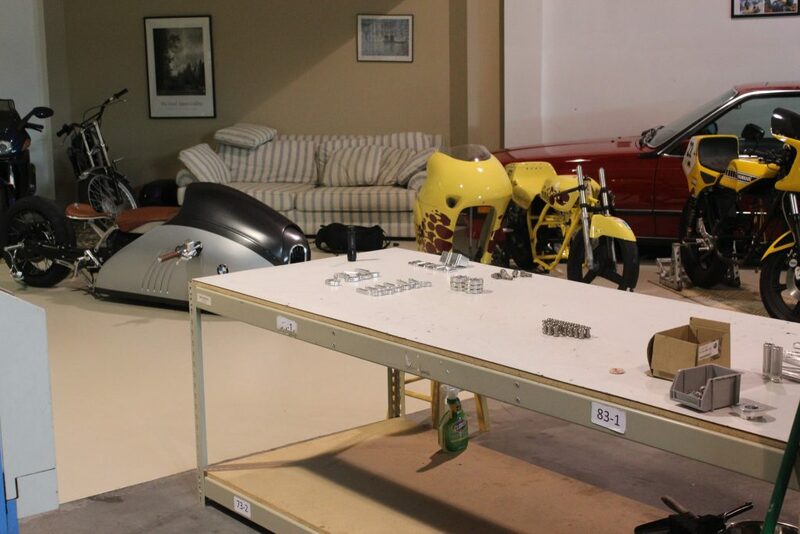 He even built his own land-speed racing engines, honing the kind of skills most builders can only dream of. With that the stage was set. I mean really think about it, Mark’s entire life has prepared him with skills to tackle building something of this monumental caliber. 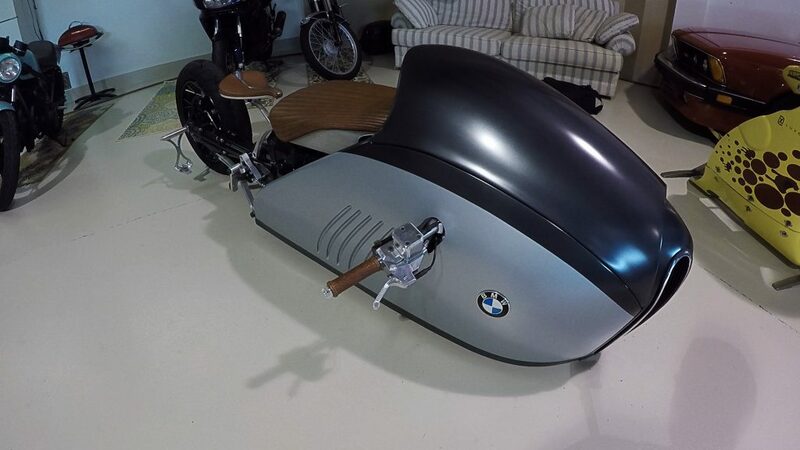 He even had a BMW with a narrow and compact engine that he kept strictly because he couldn’t stand parting with it, and now thanks to Mehmet he had inspiration on what to do with it. Mehmet’s design even depicts a BMW badge, a coincidence that shouldn’t be overlooked. 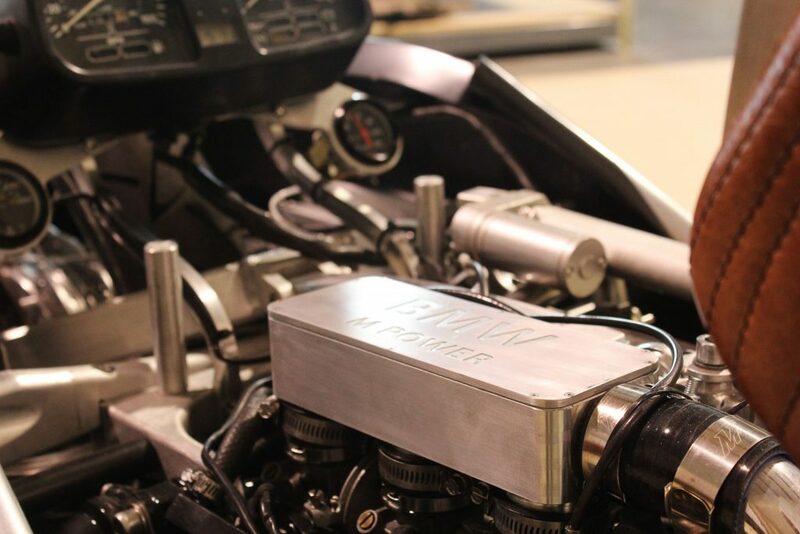 While Mehmet had no intention of what engine should be used if Alpha were to come to life, he picked the one manufacturer that he and Mark both have a deep soft spot for. 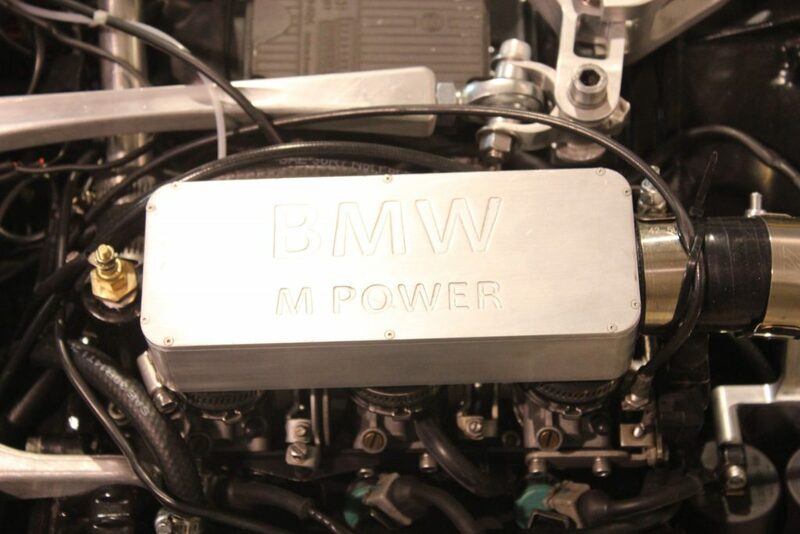 And while BMW has produced a lot of phenomenal engines over the years, I doubt any of them would have fit under Alphas sleek body as well as the K750S engine, the same one Mark had waiting in his garage. If that doesn’t give you some type of goosebumps, I doubt anything will. Mark described to me that when he first saw the Alpha rendering it was like a bolt of lighting, calling it the neatest thing he had ever seen. Mark proceeded to reach out to Mehmet, asking Mehmet if he would mind if he built the real thing. Except Mehmet never responded, leaving Mark in the dark. Mark eventually said ‘screw it’ and started constructing the chassis without any permission from Mehmet, using only the renderings he was able to find online. With the chassis mocked up and taking form, it was time to start thinking about the body, something Mark didn’t feel comfortable about doing without reaching out to Mehmet one more time. 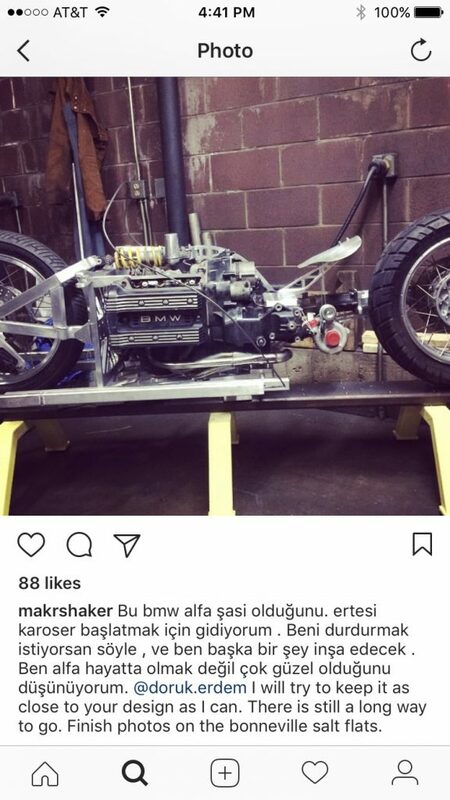 Mark decided to post a photo to Instagram of the chassis he had constructed thus far, calling out Mehmet in his native tongue, hoping to get his attention so they could collaborate on the future of the build. This time, fortunately, it worked. Mehmet was blown away with what Mark had already accomplished, instantly getting on board with the build. 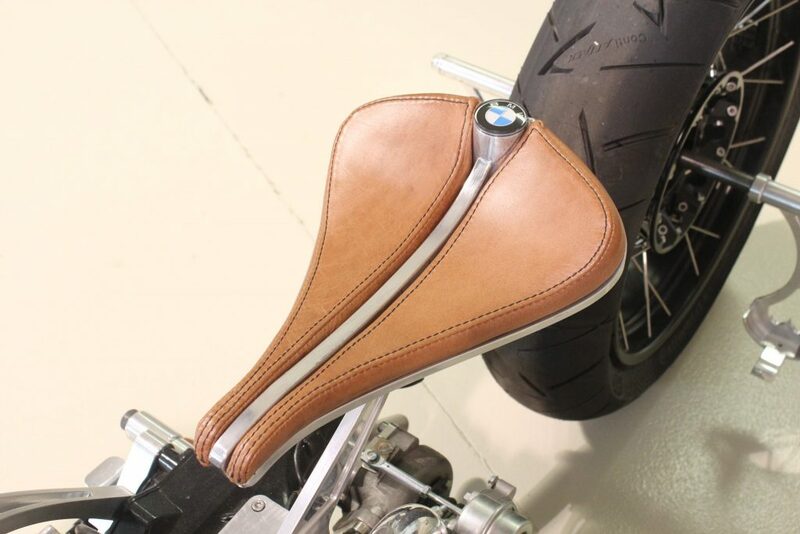 Bu bmw alfa şasi olduğunu. ertesi karoser başlatmak için gidiyorum . Beni durdurmak istiyorsan söyle , ve ben başka bir şey inşa edecek . Ben alfa hayatta olmak değil çok güzel olduğunu düşünüyorum. @doruk.erdem I will try to keep it as close to your design as I can. There is still a long way to go. Finish photos on the bonneville salt flats. Turns out Mark was not the first person to approach Mehmet about building Alpha or any one of his other ideas, and he was sick of people not coming through so he stopped responding. When Mark actually showed how far he had gotten Mehmet was taken aback, realizing Mark was actually serious about creating something real. The two of them saw eye to eye on almost every aspect of the build and although they did have some ‘sticking points’ as Mark puts it, they were able to overcome them, with a final product that speaks for itself. Speaking of the final product, let’s talk about the bike. 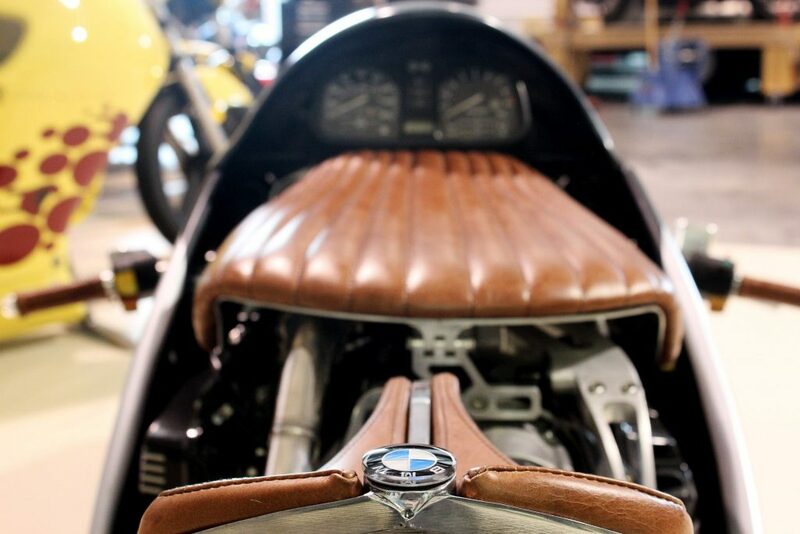 It goes without saying that almost everything on this bike has been hand built by Mark himself. 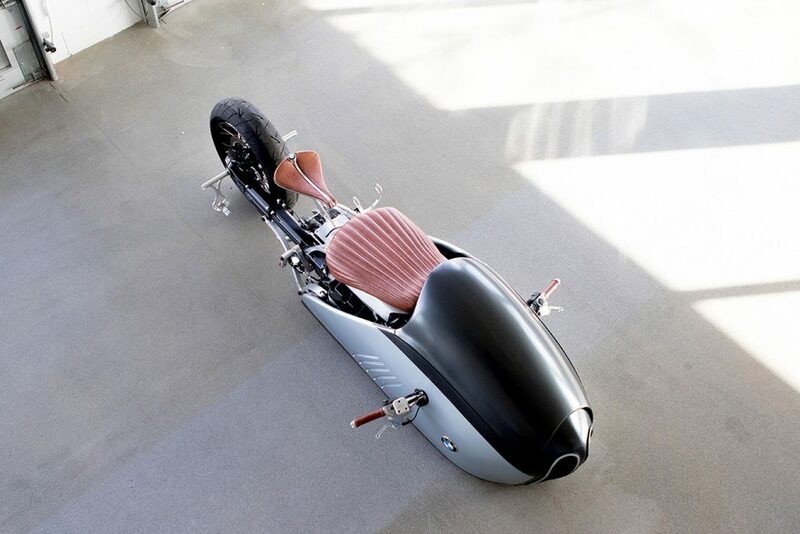 It’s an obviously unique combination of vintage and modern, with an absolutely unique streamlined body. 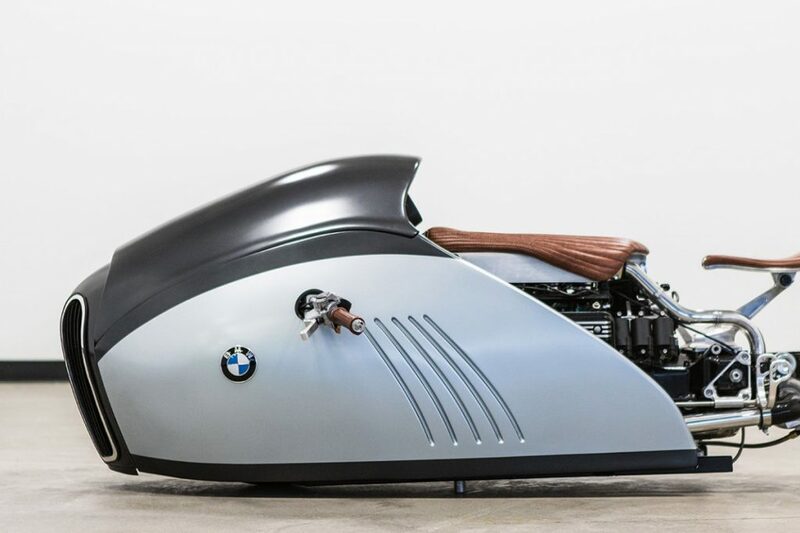 The aforementioned donor bike is a BMW K75S equipped with a horizontally mounted triple that produces roughly 60-horsepower. 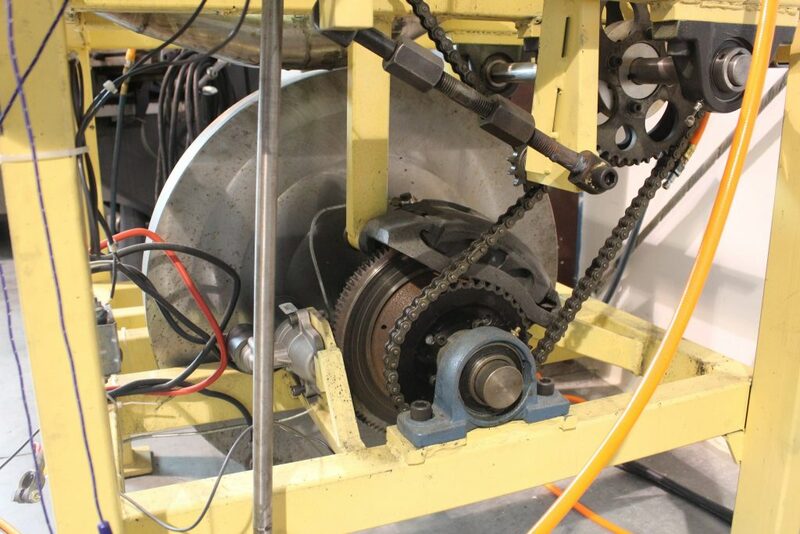 This particular mill has been rebuilt, with over 140-thousand miles on the clock and a substantial lay down it was more than ready for a refresh. 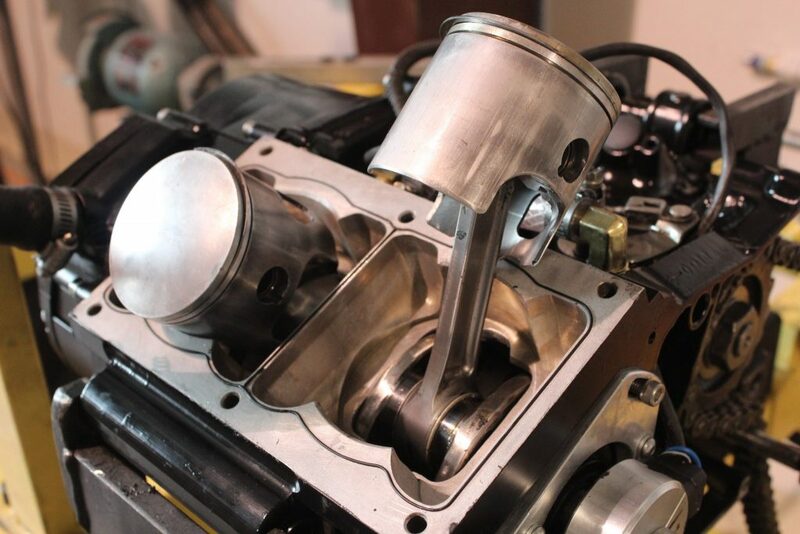 To up the ante, Mark decided on adding a single turbo. 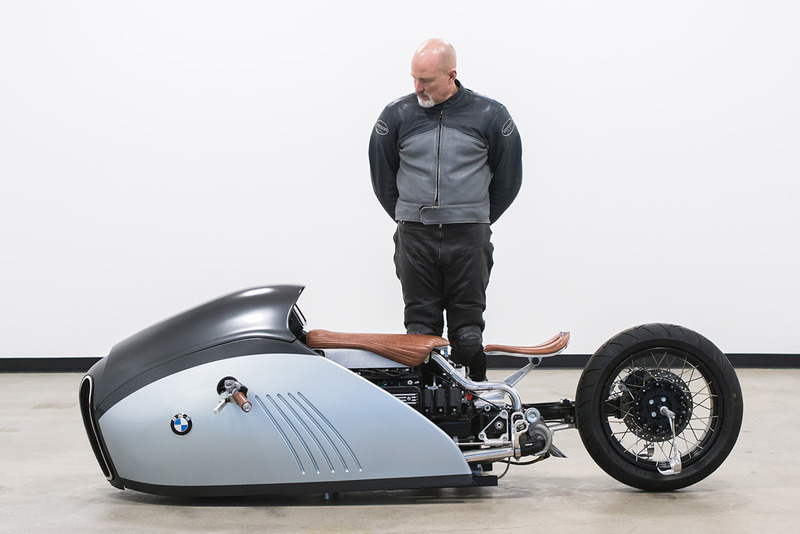 In his words, ‘it was more for the exhaust note than for performance.’ After all, this is a rolling art piece, not a race bike. 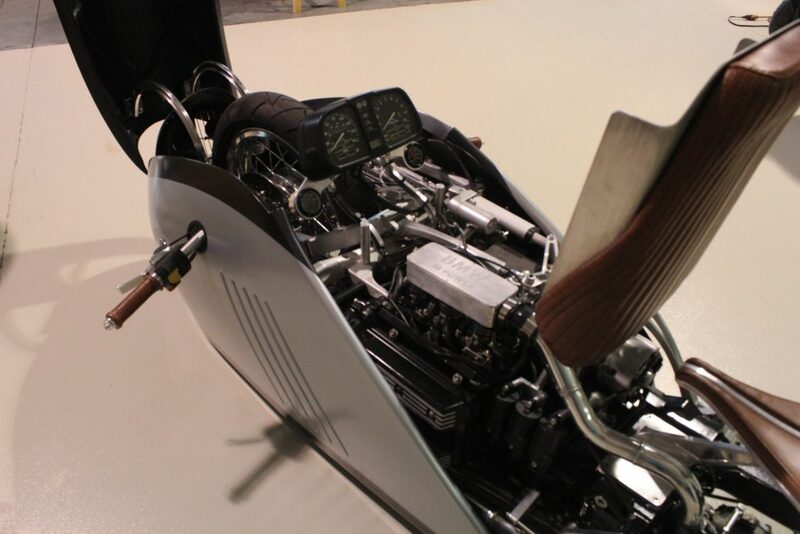 The chassis is completely custom, essentially an aluminum cradle that wraps the K75s engine. 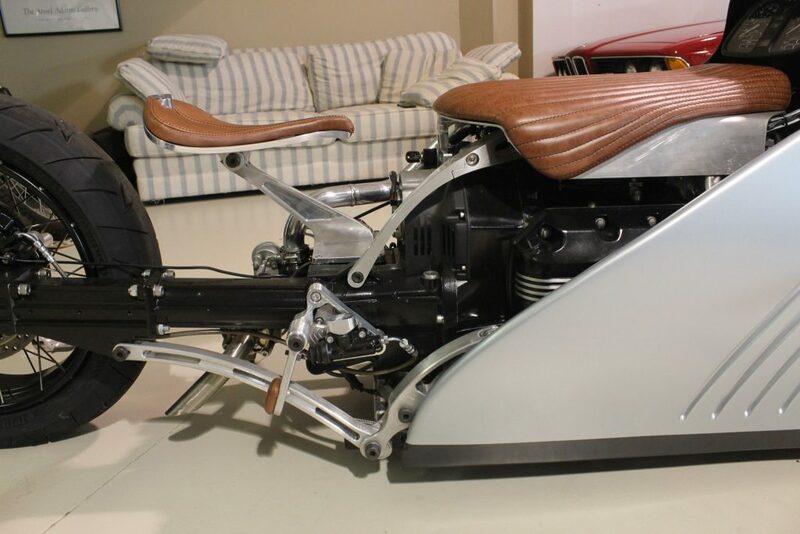 Because of how low Alpha is the bike needed an unconventional approach to attach the front wheel and steering assembly to the chassis. 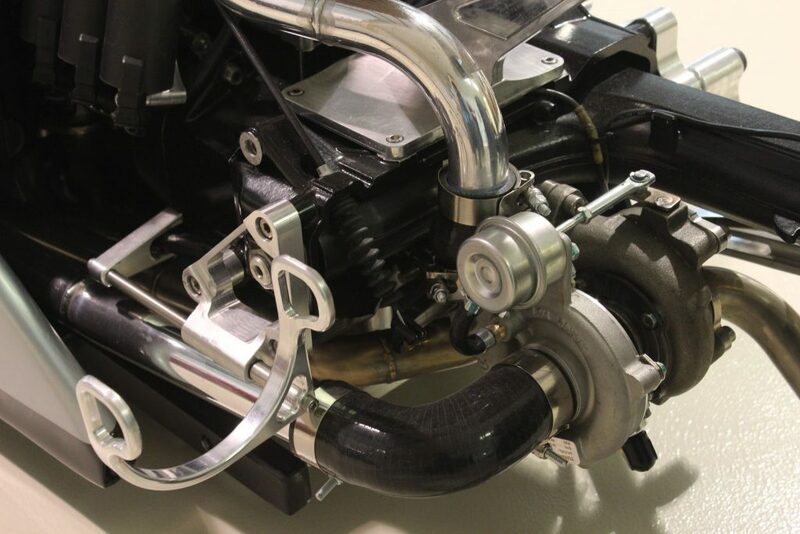 Mark opted for hydraulic hub steering mounted to a swing arm. 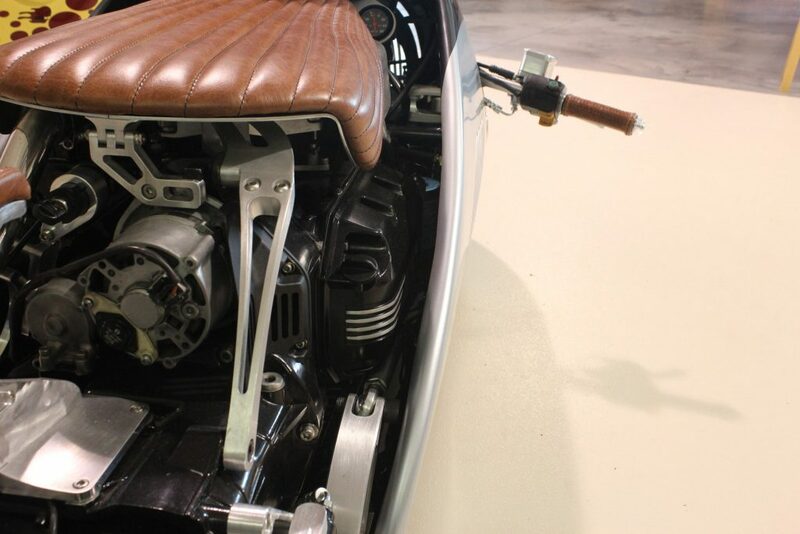 Continuing with the theme thus far, Mark built the entire steering assembly himself, taking a rear drum brake from a vintage Suzuki motorcycle and fabbing up a unique linkage inside. 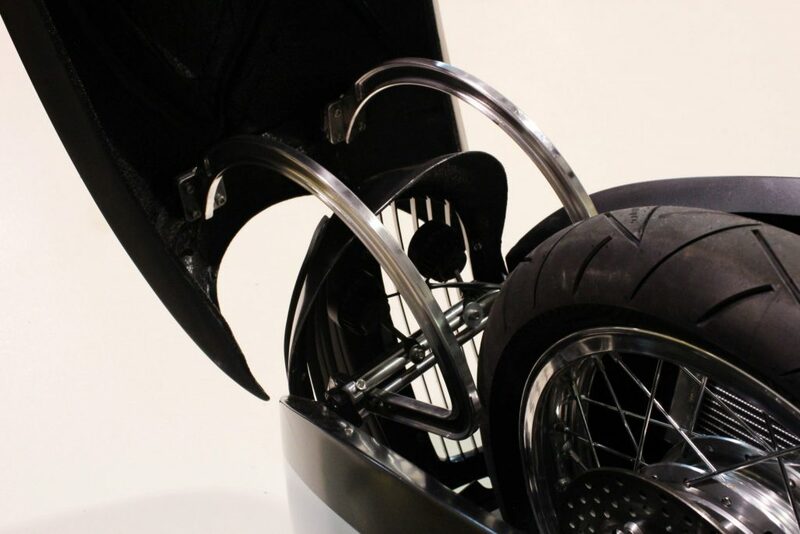 Now you won’t find any suspension under here, instead what you will find is that the custom swing arm is attached to an actuator to raise and lower the front of the bike, bringing the body off the sliders that the body rests on and allowing it enough clearance to actually ride. 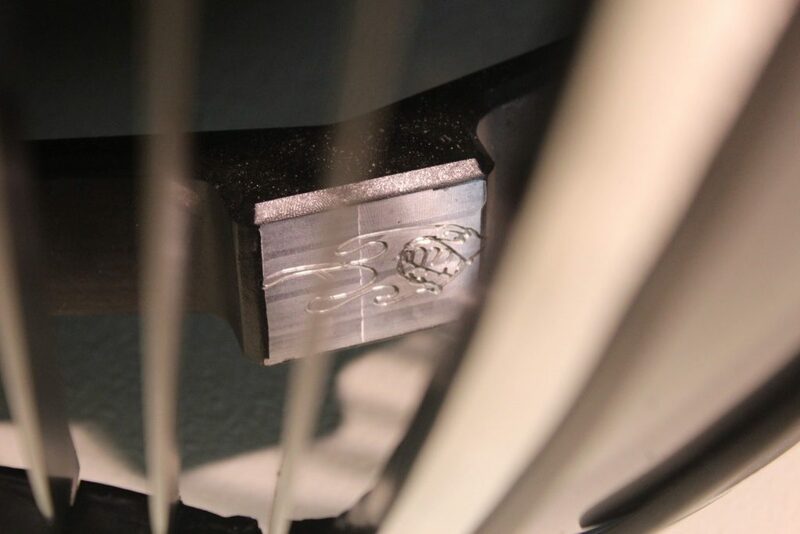 One of the absolutely coolest features of this linkage is what Mark used for a pivot in the actuator. 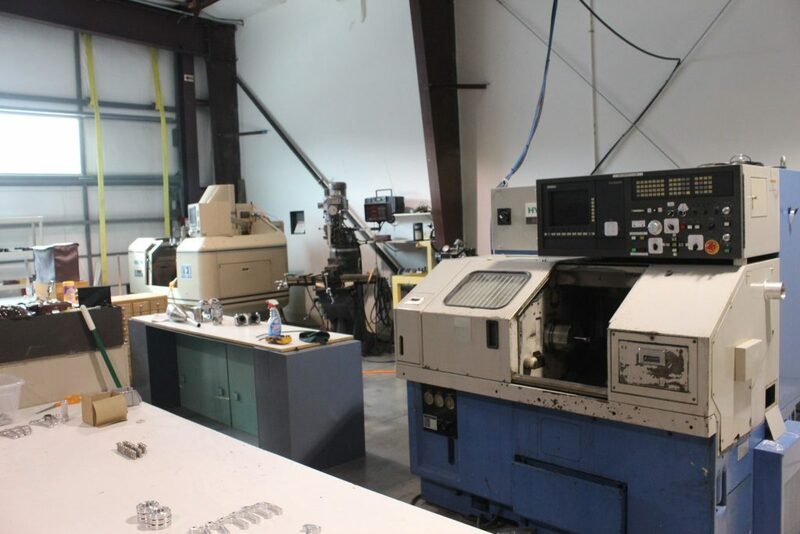 One of Marks former jobs was to design rocker assemblies for T&D Machine Products, even designing Roberto Guerrero’s Indy Car valvetrain. 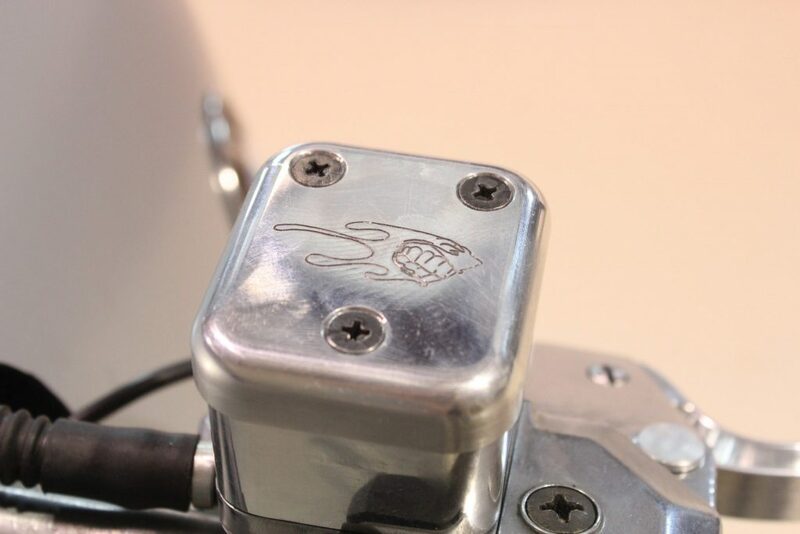 So, equipped with a drawer full of spare parts he decided to incorporate a pivot shaft from a rocker assembly he designed, a subtle touch that gives Alpha even more back story. 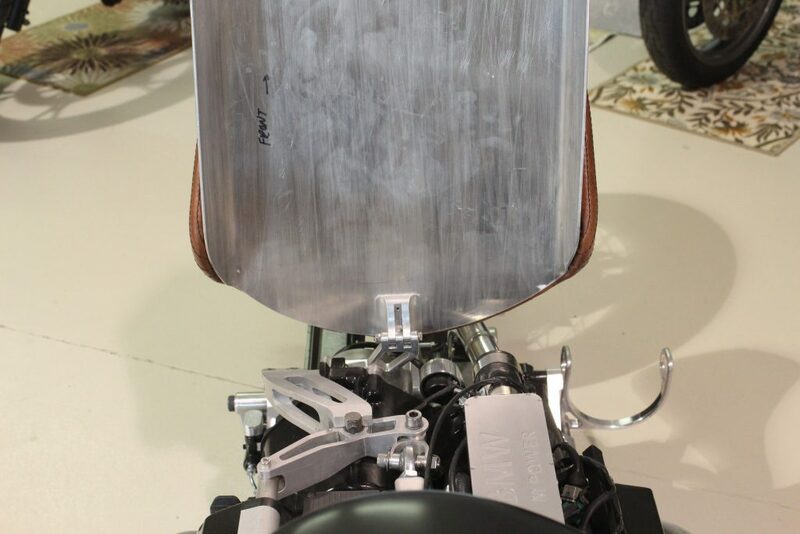 For the rear of the bike, Mark stretched the stock K75s swing arm and internal drive shaft, extending it 8-inches to give it the same dimensions as the renderings, also making room for the turbo. 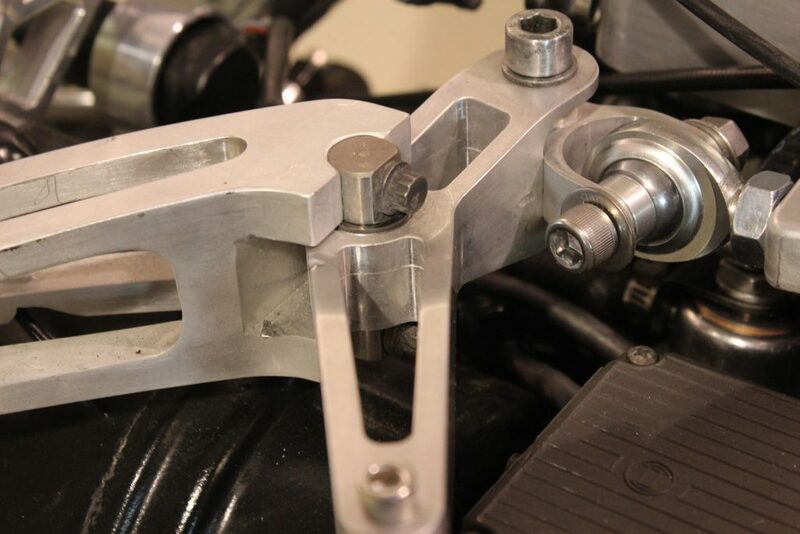 While he did experiment with suspension the end result was a simple but gorgeous rod linkage to adjust the static height, every piece fitting meticulously well. 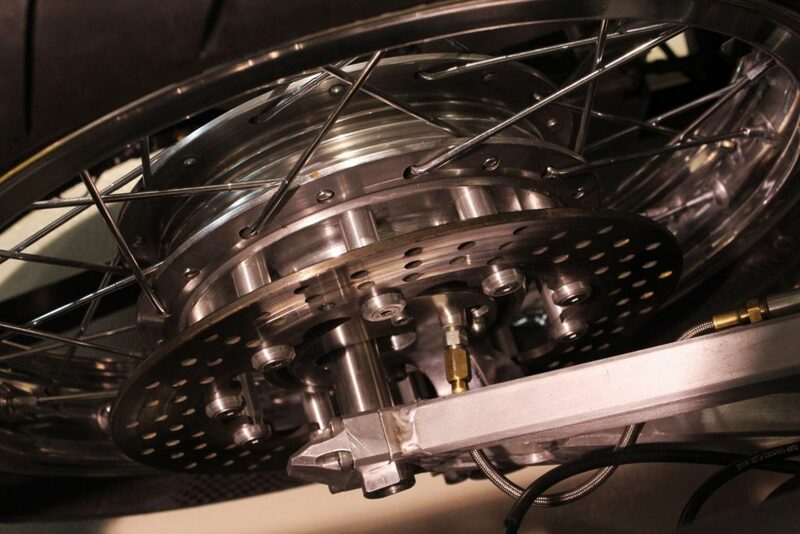 The rear wheel has also been replaced with a spoked BMW wheel, with a custom differential that allows for the foot-pegs to be mounted so they hang freely from the rear hub. With polished aluminum accenting almost every angle of Alpha it gives the bike a vintage feel, something Mark was going for from day one. The seat is a beautiful piece carved from a solid chunk of aluminum incorporating a well placed BMW badge and tailored in exquisitely stitched Leather. 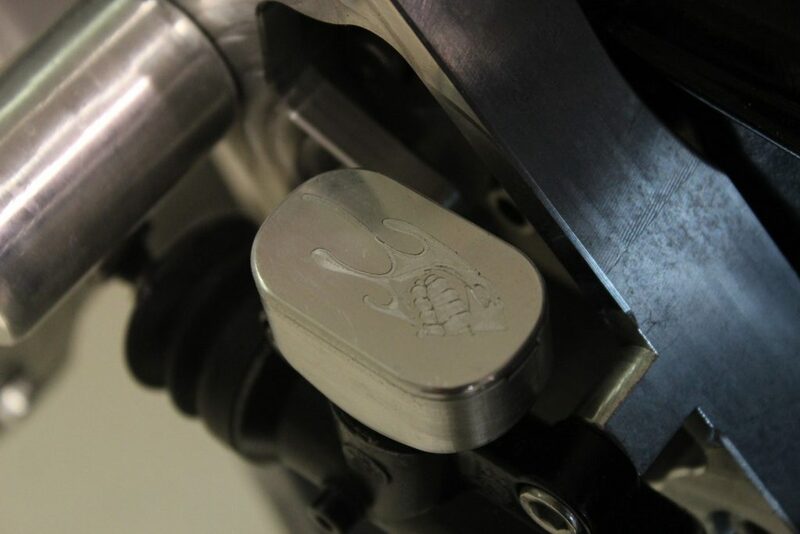 Instead of foot controls, the rear brake and transmission gear selector are now knee actuated controls. Moving your left leg laterally shifts the bike up or down and pushing your right knee forward applies the rear brake, something that would take a good amount of time to get used too. 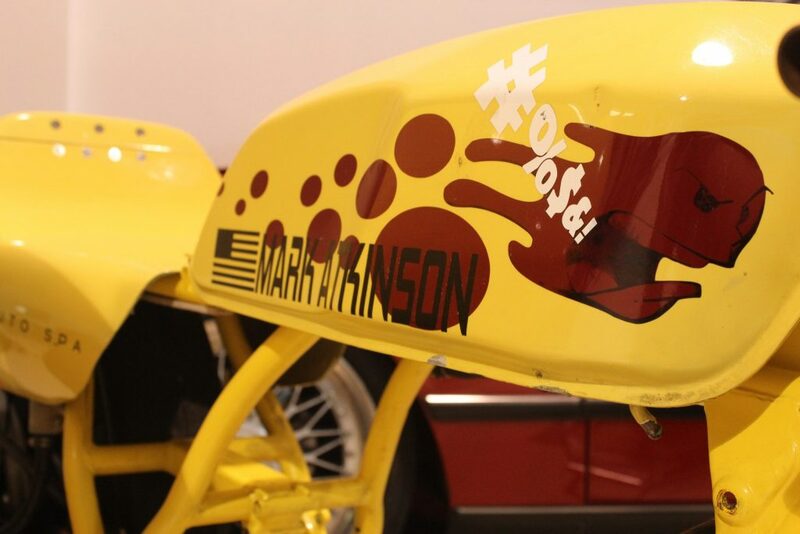 Moving on to the body, I was surprised to learn that it wasn’t carbon fiber or fiberglass, making me think Mark had constructed it out of aluminum as well. Wrong again. What Mark had decided would be most fitting for Alpha was a material called Basalt. Don’t feel bad, I had never heard of it either. Apparently, basalt sits right in between fiberglass and carbon fiber as far as durability and costs go, beating both in the rarity category. Mark chose it because he had never worked with it before, giving him yet another challenge. He had to special order the basalt from Germany as that was the only place he could find it. If you haven’t noticed yet, Marks dedication is unparalleled. He followed the original lines of Mehmet’s rendering, even incorporating the shark gills into the side of the bodywork. 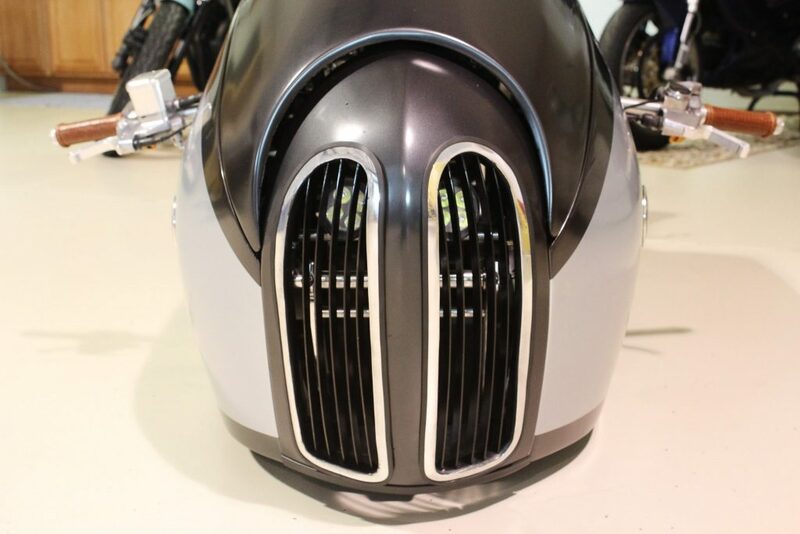 Mark was inspired to change things up just a little bit, giving Alpha the traditional BMW nostrils inspired from his own M6. 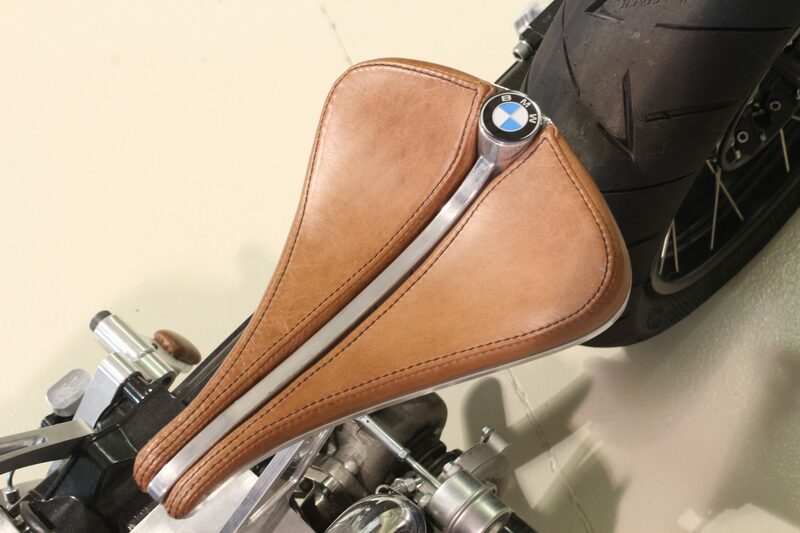 The entire top section flips up like a hood to expose the front swing arm assembly. Mark would tell me the hood hinges were possibly the hardest part of the build, taking multiple revisions to get the right angle. Rarely do you see hood hinges and get impressed with the craftsmanship that went into them, but as they say the devil is in the details. The leather work was done by his friend Eli, displaying some of the most impressive leather crafting I have seen in quite a while. Apparently the Saddle was quite the task. The compound angles made for a challenge to keep the leather from rotating, but in the end, it came out damn near perfect. 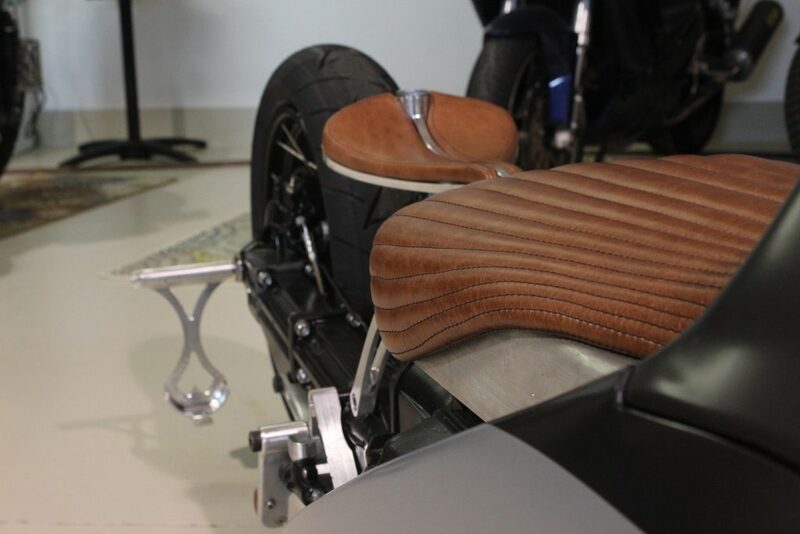 The leather platform was a joy to look at and to touch, matching perfectly with the colors chosen for the bodywork. 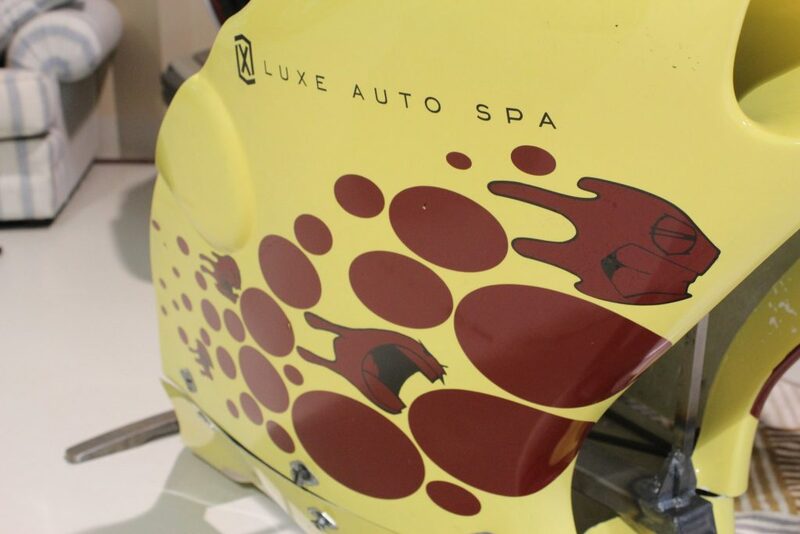 An artist friend of Marks had helped him design the graphics for his race bike a while back, creating a logo for his speed-of-cheese racing. Mark incorporated this logo all over Alpha, choosing subtle places that you can easily overlook if you aren’t paying close enough attention. There you have it. 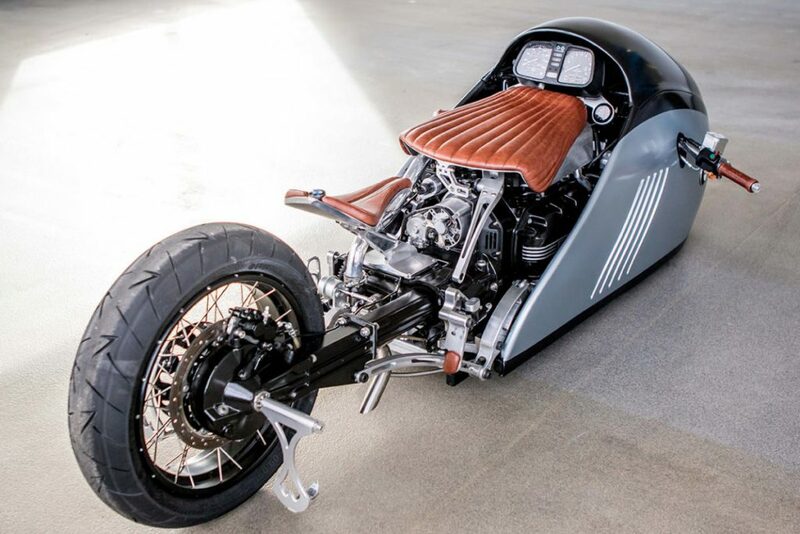 The final product is one of the sleekest builds to roll out of any garage, particularly a build that was created during lunch breaks and long hours after work. Mark estimates he has over two thousand hours of work into Alpha. Not to mention a small fortune. Now Mark is set on working on his other projects for the time being. Exploring his shop I got to see all his other toys which included several street bikes, his race bike, and a gorgeous M6. 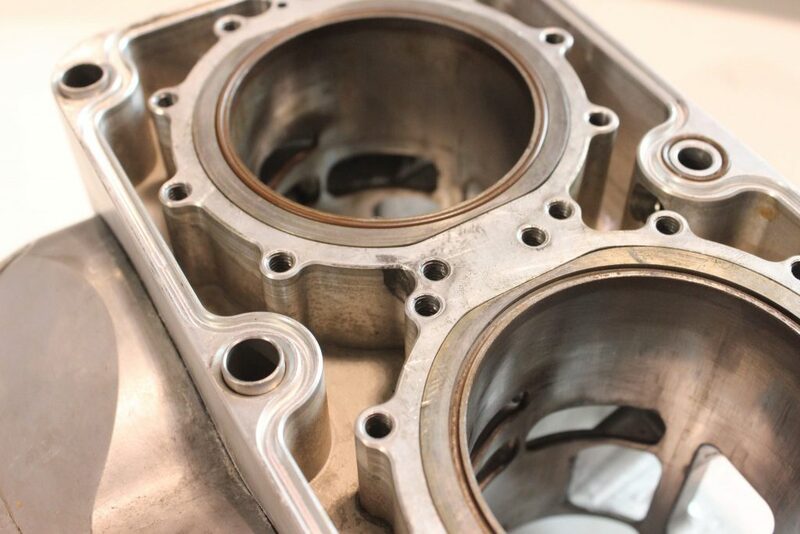 I was gifted a tour of Mark’s machine shop, seeing first hand the design process for his race engines. 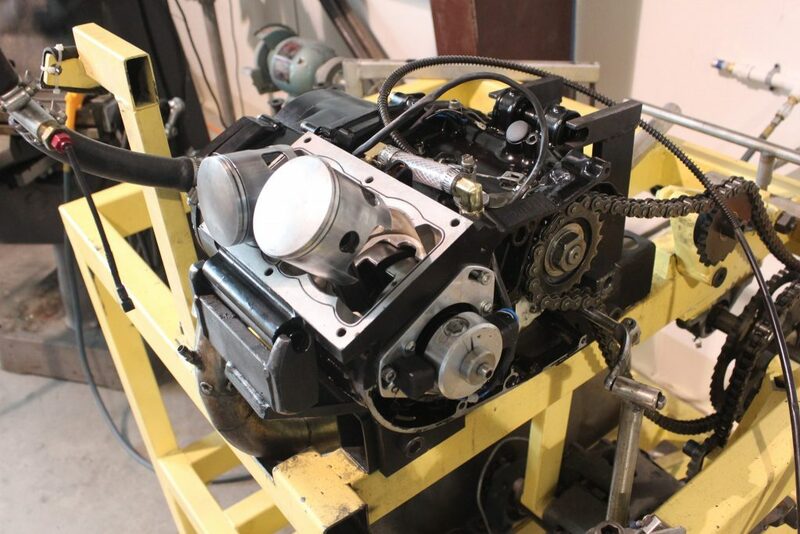 Mark even built himself a dyno, allowing him to test each new engine design. 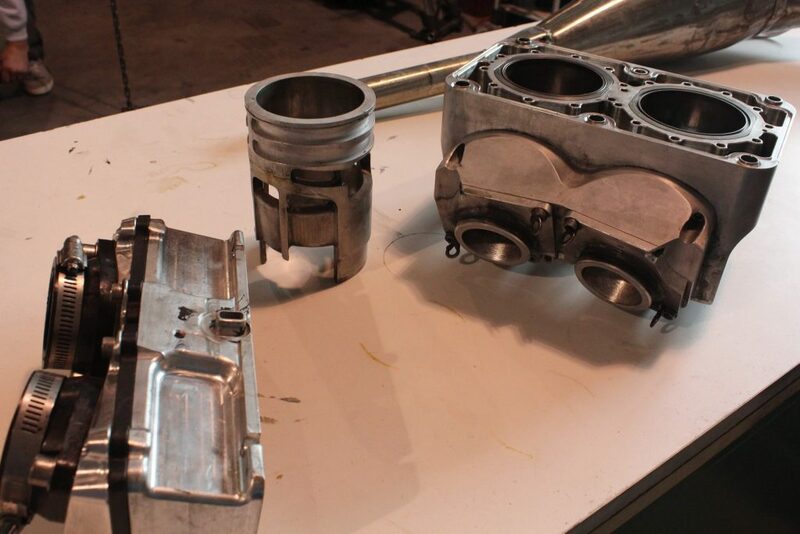 Mark also shared with me some of his prototype products that he will be bringing to market in the near future. All in all, Mark’s shop is like a petrol-head’s Disneyland, featuring everything a fabricator could possibly desire. Mehmet and Mark have become great friends throughout this entire process. While they still have not met in person they continue to text daily, talking about a lot more than just motorcycles. In today’s world it’s amazing what can bring us together, for Mark and Mehmet that thing is the love of motorcycles. Hopefully, Mehmet will be able to come to the US in the near future, meeting Mark and Alpha in person and going to watch the salt flat races. Until then though, the roles have been reversed and Mehmet is now trying to get Mark to start on their next project together, one called Titan. While Mark is open to the idea, even stating ideas of drive and how to build it, he insists he would like to take a break and continue with his current projects at the moment. Understandable, although I hope to see Titan in the works in the near future. Between the design features and the unlikely backstory between these two gentlemen, we are left with one of the coolest customs we have seen in years. 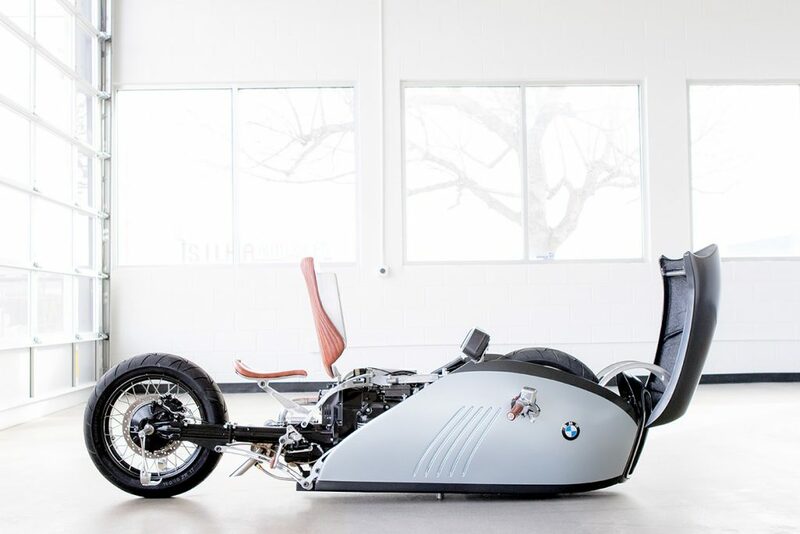 So much so that it has officially been invited to be showcased at the Hand-built Motorcycle Show in Austin, Texas this year. A feather in the cap of everyone involved. 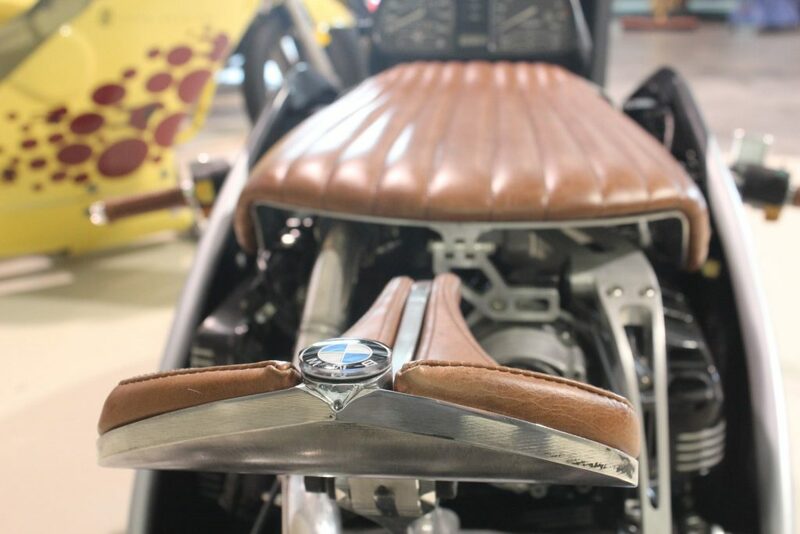 But more than any other custom bike, Alpha is as one of a kind as the story behind it, making it that much more special. Mark is unbelievably humble, saying on several occasions that he isn’t an artist. Mark my friend, I have to beg to differ, you have created an exceptional piece of art with your hands. With your small design changes altering Alpha into its perfect form, and that is not to take away from Mehmet’s original design, it just shows how good of a team you two really are. Cheers to you both, hopefully we will see Titan coming from you next.